The Jared collection by Jennifer Taylor Home is the perfect addition to any living space looking to add a bit of a traditional flair. The fabric selected for the collection features Polyester blends and engineered for long life. Our wood frames are made from kiln dried birch wood which provides exceptional support and stability. This unique design is accented with subtle hand tufts along the back and seat. The Jared is an ideal choice for the entryway, hallway or living areas. This settee brings class and lounging comfort to any room in the home. We offer a unique versatility in design and make use of a variety of trend inspired color palettes and textures. Our products bring new life to the classic American home. 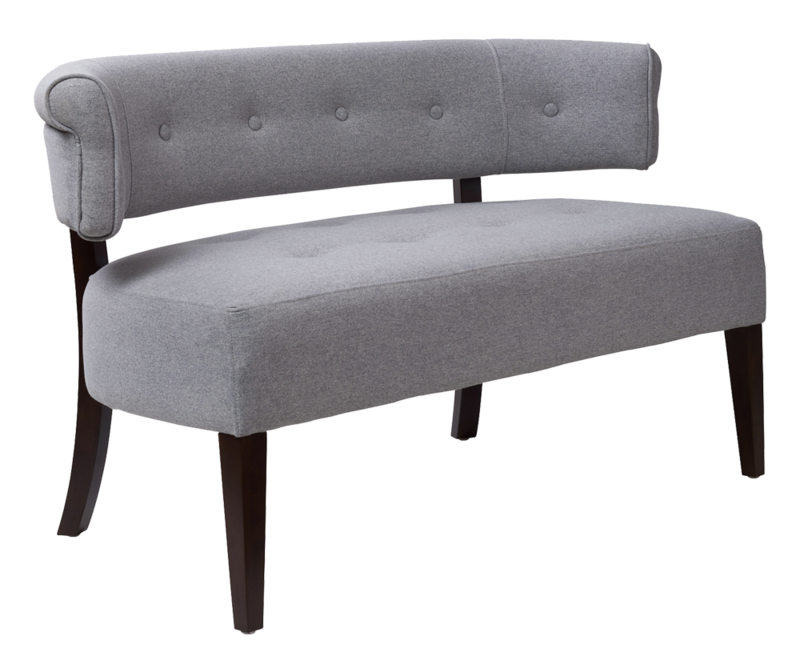 The Jared Tufted Bench Settee is the perfect addition to any living space looking to add a bit of a traditional flair. The fabric selected for the collection features Polyester blends and engineered for long life. Our wood frames are made from kiln dried birch wood which provides exceptional support and stability. This unique design is accented with subtle hand tufts along the back and seat. The Jared is an ideal choice for the entryway, hallway or living areas. The design, construction and overall functionality are certain to grace your interior with a bit more charm. This settee brings class and lounging comfort to any room in the home. This chair is great! It arrived timely and the quality is fantastic. It matches the rest of my decor prefectly. There was only one thing, it wasn't very easy toput together. Overall, it was a good purchase. I recommend this item. Love, love, love the bench. It looks great, the quality is great and it give our hallway a nice overall look. Happy with my purchase . Nicely made and comfy . Beautiful! True to the pictures! This chair is absolutely gorgeous!! Its very sturdy and made from quality materials. The seating area is perfect for larger bottoms. Beware the legs appear to be a darker stain in the picture whereas in reality they are a light tanned stain. Im keeping it though. I restained the legs in an ebony finish. It looks great. I highly recommend this product. I was looking for something that was smaller and simple. This foots the bill. Firm. Well made. Not comfortable for hours of sitting, but works well in many situations. 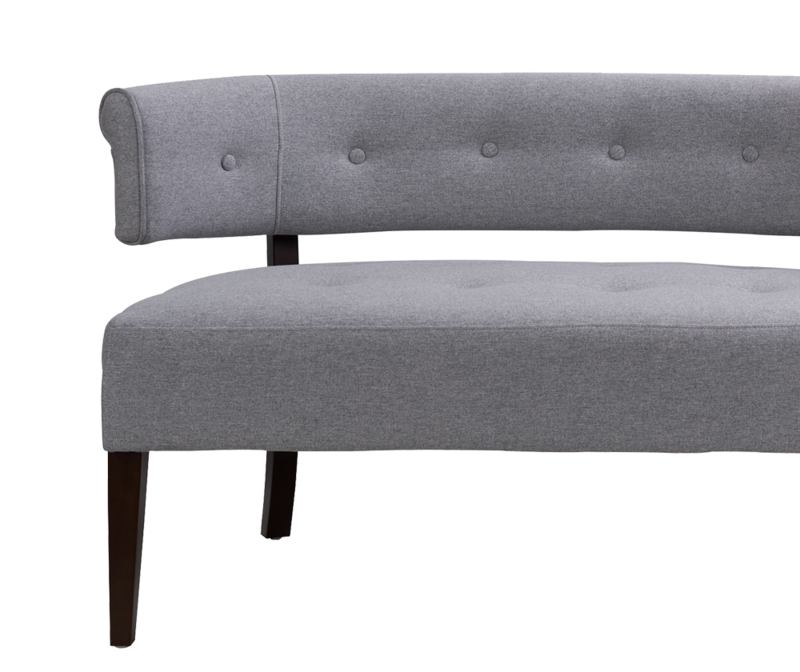 This settee is a perfect compliment to my mid century modern Rockwell accent chairs. I bought it in a light gray. Easy to assemble. Looks great.